About a month ago, Microsoft released Windows 8.1 update. Users who had automatic update enabled didn’t have to do a thing, but those who didn’t have that setting were very strongly “urged” to update their machines. 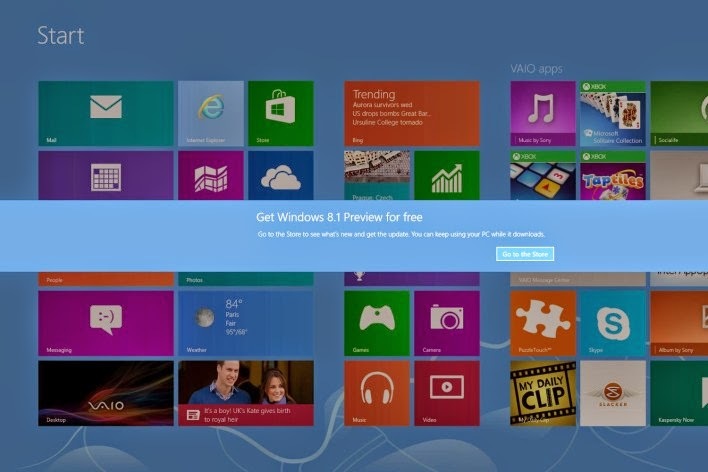 In fact, when the update was announced, the team behind it were quite upfront about the necessity of Windows 8.1 update. So, from the get go, a deadline was set for updating to Windows 8.1, and if you decide NOT to go for it, then you might find yourself out of luck in the future especially since security patches are included in the list of things that you won’t have access to if you don’t do the upgrade. It seems, however, that Microsoft is staying true to its track record of backtracking. Just yesterday, the Windows Experience Blog announced that the Windows 8.1 update deadline is being pushed back. Instead of the original May 13 deadline, the new date to watch out for is June 10. That gives you another month to procrastinate and put off updating to Windows 8.1. While we believe the majority of people have received the update, we recognize that not all have. Having our customers running their devices with the latest updates is super important to us. And we’re committed to helping ensure their safety. As a result, we’ve decided to extend the requirement for our consumer customers to update their devices to the Windows 8.1 Update in order to receive security updates another 30 days to June 10th. Do keep in mind that while the deadline has been moved, the terms remain the same. If you do not update your device within the specified period, you will no longer receive updates. Microsoft says that they are confident that the extension will be enough to get the remaining customers to go for the Windows 8.1 update. Seriously guys, just update already! It’s not rocket science, is it?